Monday 4th July Sports Week starts with lots of fun sporting activities planned. Please can you ensure your child comes into school wearing their PE kit every day next week, along with tracksuit trousers and sweatshirt top in case the weather turns chilly. All earrings/jewellery must be removed for the whole week. Your child will need a clearly named water bottle. School PE kit is preferable, however we appreciate this may not be practical every day if items get dirty or wet, when non-uniform items can be worn instead. Sports Days for adults to attend are as follows: Year 2 Tuesday 5 July 2016 10am – 12pm Year R Wednesday 6 July 2016 10am – 12pm Year 1 Thursday 7 July 2016 10am – 12pm Just a reminder that the entrance for adults will be via the Year R Arkley Road gate at 9.50am. As this should be a well-attended event, we are sorry to have to restrict the number of adults attending to only 2 per pupil. 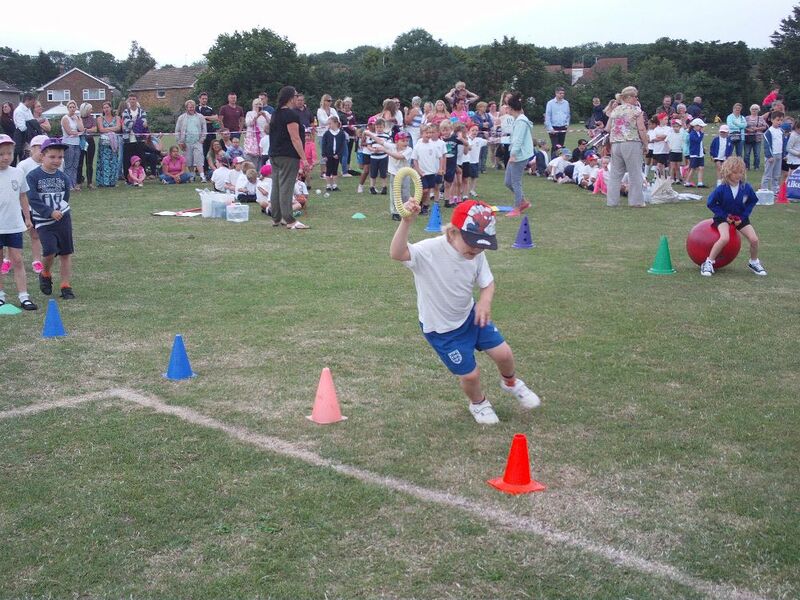 The Sports Day events will be taking place on the Junior School field. Don’t forget your running shoes as there will be a spectators and teachers event before the closing ceremony!.